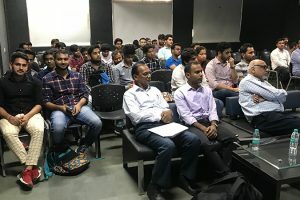 Faculty of Computer Applications, MRIIRS has organized an Expert Talk on “Ambient Intelligence : Convergence of Artificial Intelligence, Machine Learning, Biometrics, Cloud Computing and Internet-of-Things ” sponsored by IEEE Delhi section and technically supported by IEEE Computer Society, Delhi section on 25th September 2018. Dr. Vincenzo Piuri, a renowned academician and scientist from University of Milan, Italy was the eminent speaker of the day. Dr. Piuri holds an illustrious position in IEEE worldwide. He has been nominated for the 2019 IEEE President – ELECT. 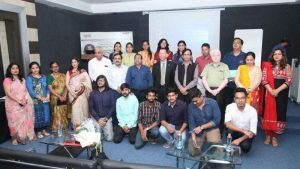 Dr. N.C. Wadhawa, Hon’ble Vice Chancellor, Dr. M.K. 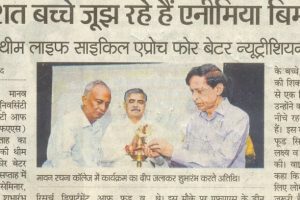 Soni, Hon’ble Pro Vice Chancellor, Sh. 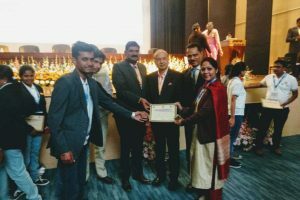 R.K. Arora, Registrar, Dr. Krishan Kant, ED & Dean-FET, Dr. S.S. Tyagi, Dean-FCA, Dr. Shaveta Bhatia, HOD-CA were present during the programme. The programme was started with the lamp lightening by all the dignitaries including the guest speaker and was attended by faculty members and students of MRIIRS and MRU including IEEE members. Dr. Piuri received floral welcome by Dr. N.C. Wadhwa Hon’ble Vice Chancellor. 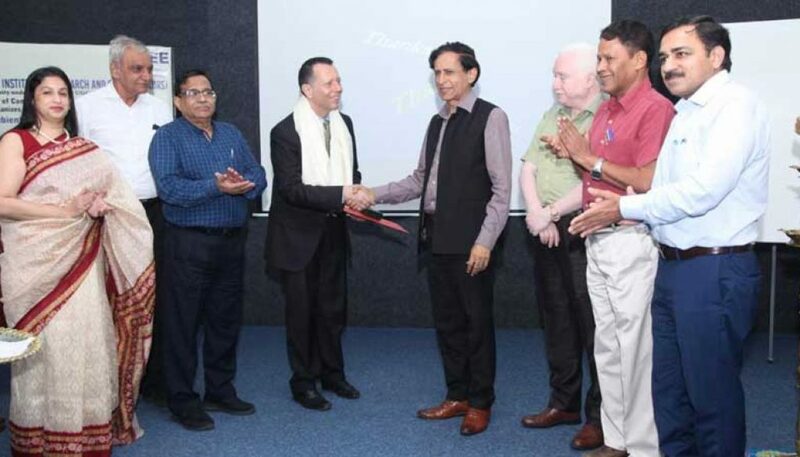 Dr. S.S. Tyagi, Dean-FCA presented a welcome address to Dr. Vincenzo Piuri and all dignitaries and participants . He expressed his gratitude to Dr. Piuri and extended a hearty welcome. Dr. N.C. Wadhwa, Hon’ble Vice Chancellor shared his words of wisdom with audience and motivated all the faculty members and students to participate in such lectures. Dr. Vincenzo started his lecture with the concept of artificial Intelligence and its importance in our daily life. He discussed about the cloud computing and its different usages. He shared his expertise on the different topics of Internet of Things, Biometrics and Cloud Computing. Dr. Piuri showed number of examples where ambient intelligence is getting used nowadays. The whole session was very informative and full of interest. All the queries were answered very well. The session was concluded by presenting a token of appreciation to Prof. Vincenzo Piuri by Dr. N.C. Wadhwa, Hon’ble Vice Chancellor.